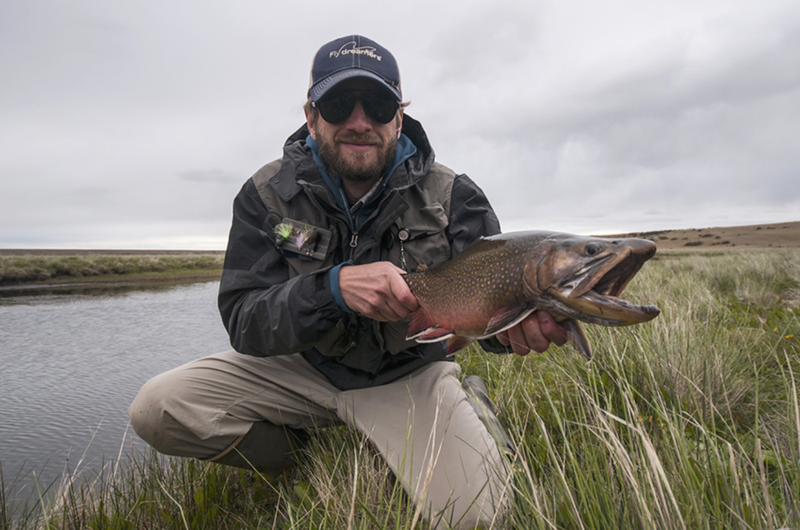 We are proud to be working with 'Routes' one of the best brook trout programs in Patagonia. 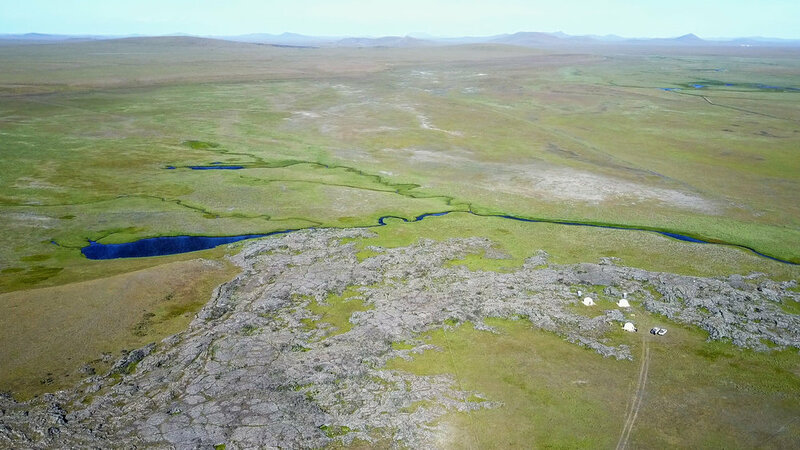 The program is conducted on a number of small spring creeks that wind their way through the steppe country of Southern Patagonia. It is in these intimate, clear waters that you have the chance to hook a trophy brook trout up to 3 kilo. Combined with great brown trout fishing this is a unique, high quality fishing program. On a regular day in these creeks you can hook 20 or more fish. All the fishing is done inside private property which ensures well rested water and no crowds. Carefully chosen, these three estancias are the best combination of great fishing in unique patagonian landscapes. Fishing brooks and browns with light tackle and the chance of hooking good size fish over three kilos. The estancias hosts are the owners, who work there and know better than anyone the hidden secrets of each place. In each estancia you will fish inside private property and the beats are very close to the homesteads. The wildlife is very prolific, such as guanacos, rheas, foxes, hares and all kinds of birds. LODGING DETAILS: You will be part of the home of the Biott family and will share their rural life and traditions. The true Patagonia is known through the people that live, work and love this place. The house keeps the original style from the beginning of the 19 century. This is not a lodge, but rather an authentic working estancia, one of the treasures of South Patagonia. There are shared and private rooms available. FOOD & BEVERAGE: Meat, vegetables, jams produced naturally. Lamb and steaks the gaucho way. From the earth to your table. This is the food you cannot miss in order to know the Patagonian traditions. The typical recipes are a means of understanding the evolution of farming in Patagonia. Achaval Ferrer is our exclusive winery for the most discerning fishermen. This is definitively one the most highly ranked wineries in Argentina. LENGTH OF STAY: The typical lodge package at Ruote of the Spring Creeks is six (6) days of fishing, however, four (4) days of fishing and three (3) days of fishing are also offered. NON-ANGLING ACTIVITIES: Route of the Spring Creeks is situated in a very remote part of Argentina, and overall, this is a fishing-focused operation. However, with that said, it is a relaxed atmosphere and culturally authentic experience. Non-fishing partners can enjoy horse riding and tours of the estancias. INTERNET/COMMUNICATION: Cell phones do not work in this area and internet is also limited. GENERAL INFO: Casting in these spring creeks demands precision, you also need to work with the wind “he is your friend”. You should bring dry flies such as Chernobyl ants, small mouse patterns and some elk caddis. Nymphs like hare hare, coper jones, stone flies for selective fishes and the most important on your fly box black streamers with bead heads such as woolly buggers, zonkers. Big brooks are usually in deeper pools. You must consider that every day you are going to have the chance of fighting with a fish that can exceed 2 kilos and reach 3 kilos. EQUIPMENT REQUIRED: All four rivers in this route can be fish with a #4 weight tackle. Floating line in a shooting head format is the best for cutting the wind. Its very important to count with some sinking polyleaders for bigger pools. Waders are only used when the wind is hard, to allow you to cross the creeks for a better position. Most of the fishing without them. For fishermen traveling to Route of the Spring Creeks, we recommend that you fly from Buenos Aires' Jorge Newbery Airport (AEP) to Rio Gallegos Airport in the province of Santa Cruz. This fishing program is also the perfect supplement or add-on to a week at Estancia Laguna Verde as the transfer by car is only a few hours from El Calafate. ARRIVAL & DEPARTURE DETAILS: When possible, we suggest that you arrive the night before the start of your week at the Lodge, which will give you some time to look around the town of Rio Gallegos and get acclimatized. Saturday morning you will be picked up at your hotel by the Lodge's transfer vehicle and driven to the Estancia, a trip of approximately 1 to 2 hours. There are a number of comfortable hotel options in Rio Gallegos or El Calafate, some good restaurants, and plenty to see and do. WHAT'S INCLUDED: • Transfers Río Gallegos or Las Buitreras (from Calafate usd 100 extra), Lodging in private rooms on the Estancias (singles and doubles rooms), Beer and non alcoholic beverages, Breakfast, lunch, snack and dinner, fly fishing guide and photographer, Cd with pictures and video, Tackle for use and for sale, 4x4 vehicle for certified for tourism. WHAT'S NOT INCLUDED: International airfare to Buenos Aires (EZE), Domestic airfare from Buenos Aires to Calafate (FTE), Hotel and meals in transit, Personal equipment, all fishing gear, flies and tackle, Argentina entrance and reciprocity fees, Gratuities for guides and lodge staff.